The grammar behind “도와주다” is taught in Lesson 41. 이렇게 주무르면 도움이 되나요? = Is it helpful if I rub it like this? 오히려 29살에 열심히 일하는 당당한 여자가 될 것 같은 좋은 느낌이 든다 = Contrary to what you think, I have a good feeling that at 29 (years of age) I will become a hard-working, confident woman. Notes: 행정 is usually found before another noun to describe it. At this point, the most common place you will find this word is in “행정실,” which refers to the administration office. This word appears in Korean Sign Explanation Video 15. Notes: This word is very similar to the word “자리,” but 자리 is more broad and can be used to refer to any place that is/can be occupied by something/someone. On the other hand, 좌석 is more specific and only refers to a place that one sits in (in a car, a stadium, etc…). It can sometimes be similar to the word “의자” (chair), but 의자 is even more specific and refers to an actual chair itself. For example, a seat to sit on while riding the subway can be referred to as “자리” (because it is a place that can be occupied) or “좌석” (because it refers to a place that one sits in), but not “의자” (because it is not a chair). 혹시 무대에 더 가까운 좌석이 있어요? = Do you happen to have a seat closer to the stage? 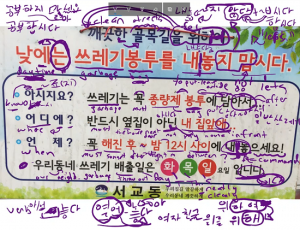 Notes: When referring to a specific foreign language or foreign languages in general, it is more common to use the word “외국어” (foreign language). “언어” usually refers to languages in general. Notes: 국어 refers to the national language of the country. Therefore, in Korean, it typically refers to the Korean language. The word “한국어” is usually used to refer to the Korean language in sentences, but 국어 is more likely to be placed before another noun to describe it. Notes: The word “근로자” is very similar. Notes: I always get confused when to use the words 자료 and 재료, as their meanings are slightly similar. 자료 refers to data that you get from some sort of study or research. 재료 refers to “materials” or “ingredients” that you use to make something. University where they filmed Harry Potter, too! Examples: 제품이 언제 와요? = When will the products come? 제품을 트럭에 다 실었어요? = Did you load all of the products onto the truck? Notes: In English, “rice” could refer to cooked or uncooked rice. If I went to the store, I would tell you to buy “rice,” and I wouldn’t specify that you should buy “uncooked rice.” In Korean, when you go to the store to buy rice, you shouldn’t use “밥” to refer to rice. “밥” in this case would generally refer to food. “쌀” is the word used for uncooked rice – the type of rice you would find in a massive sack at the supermarket. 이 마을의 이름이 뭐예요? = What is the name of this town? 우리가 다음 마을에서 멈출 거예요 = Shall we stop in the next town? This word appears in Korean Sign Explanation Video 11. This word appears in Korean Sign Explanation Video 14. Notes: This word is not used to say that one changed something. Rather, it is used to say that something changed in the passive sense. Therefore, you will not see this word used with an object (something with ~을/를 attached). It is common to use ~(으)로 to indicate what the thing changed to. 저를 쳐다보지 말아 주세요! = Please don’t stare at me! Notes: The word “모으다” is used when a subject is collecting some sort of objects. “모이다” is used when the subjects themselves are gathering. 애기를 몇 명 낳고 싶어요? = How many babies do you want to (have?) give birth too? Person 1: 숙소비가 얼마예요? 10만원? = How much is the lodging fee? 100,000 won? 차를 스스로 주차했어요? = Did you park the car by yourself? 벽에 붙어 있는 광고를 봤어요? = Did you see the advertisement that is attached to the wall? So that’s what you already know. What you don’t know is that in addition to the ~는 것 principle, there are other ways that you can modify verbs to change them into nouns. We will look at this today. Well, first, notice exactly what ~는 것 is. Adding ~는 to a verb stem allows you to describe nouns (것, 사람, 음식, etc…). Adding ~기 to a verb stem does not allow you to describe anything. It just turns verbs into nouns. 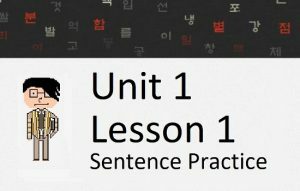 Before you see ~기 being applied in those grammatical principles, I would like to introduce some simple, practical uses of ~기 that you can use right away. It is possible to use this with the word 좋다 (the opposite of 싫다), however, it is not that common in Korean. Instead, it sounds more natural to use ~고 싶다. There are also a handful of words where it is common to use the ~기 form as an actual word. Person 2: 쓰기랑 듣기는 너무 어려웠어. 하지만 읽기는 너무 쉬웠어. Person 1: How was the exam? Person 2: The writing and listening (parts) were really hard. But the reading (part) was really easy. Here’s a list that appears on a Korean street sign. You can see that ~기 is used. Watch me break this down, along with all of the other grammar and vocabulary in the sign. On a computer, if you wanted to “zoom” in on a picture, you would press the “zoom” button. In Korean, the verb “zoom” is “확대하다.” On Korean computers, they usually don’t put verbs on buttons on the screen – instead they put the noun form of the verb. For ~하다 verbs, the noun form is easy to find. The noun form of 확대하다 is 확대. Simple. If you wanted to open something, you could press the “열기” button. There are a lot of applications for ~기, they just might not seem apparent at the moment. As you learn more and more Korean grammar, you will see that there will be more applications where you can use ~기. 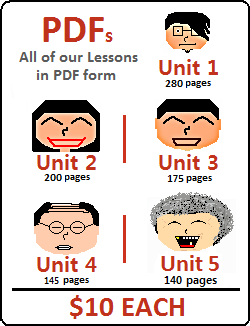 In later lessons, you will see ~기 paired up with other grammatical principals. Before we go any further, let’s look at another way you can turn verbs (or even adjectives) into nouns. 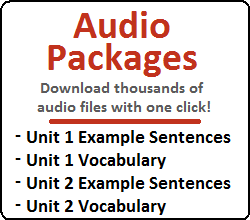 Adding ㅁ/음 to verbs or adjectives to turn them into nouns. ㅁ gets added to stems ending in a vowel, and 음 gets added after stems that end in a consonant. Like I said earlier. You can use ㅁ/음 to turn entire sentences into nouns, but this is rarely done in speech. It is done much more commonly in books/poems (for whatever reason). Adding ㅁ/음 to verbs/adjectives is usually done to words that don’t end in 하다. The reason for this is because there is already a very simple way to make a 하다 verb/adjective a noun – by removing the 하다 from the rest of the word (설명하다 = to explain – 설명 = an explanation). In Lesson 7, you learned how irregular words change as a result of adding different additions. This is the first time you have been introduced to adding ~ㅁ/음. Let’s look at how irregulars change as a result of adding this grammatical principle. The ㅅ irregular, ㄷ irregular and ㅂ irregular all follow the same rules that were introduced in Lesson 7. The addition of the vowel causes a change (or elimination) of the last letter of the stem. The ㅡ and 르 irregular are not affected by this addition. Below is a table showing the changes that result from adding ~ㅁ/음 to a word. Notice that I also included the word 돕다. As you learned in Lesson 7 – ㅂ changes to 오 when ~아/어 (or any derivative) is added. When any other vowel is added, ㅂ changes to 우 as you can see above. 운동을 매일 해요? = Do you exercise every day? Notice that you can add “요” to make the response formal. In informal situations, this can be removed. This is one of the usages of 그럼. 그럼 actually has other usages, but these are actually a contraction of a grammatical principal that you haven’t learned yet, so I will not introduce you to these here. Here’s a Korean sign that uses ~ㅁ/음. Watch me break this down, along with all of the other grammar and vocabulary in the sign.